Altri inoltre disponibili tesi in collaborazione con aziende operanti nel settore della meccanica applicata ad operazioni agricole. 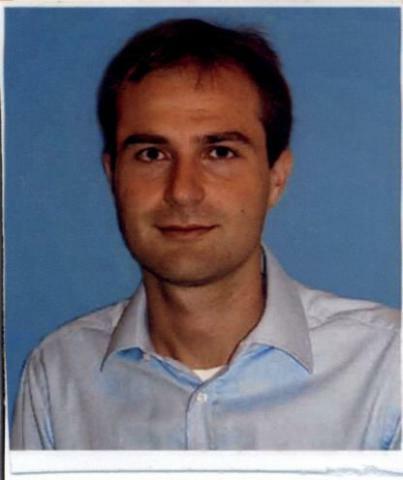 Francesco Marinello got MS degree (110/110) in Mechanical Engineering, from University of Padova (Italy) in 2003. In 2003 had a 6 months scholarship at the Department of Electronic Engineering (University of Padova). From 2004 to 2007 had doctorate in Manufacturing Engineering in joint supervision with the Univ. of Padova and the Techn. Univ. of Denmark (DTU). The final thesis was awarded with the first prize at the Regional Prize for Innovation 2007. In 2007 has been Visiting Assistant Professor at IPL (DTU), in connection with the EU-project “Universal and Flexible 3D Coordinate Metrology and Nano Components Production”. From 2007 to 2011 had a four years research fellowship at the Department of Manufacturing Engineering and Management (Univ. of Padova) for a project of project on metrology and development of standards for thin films characterization), in collaboration with Veneto Interuniversity Centre for Nanotechnology (CIVEN). In 2011-2012 has been working in a private company (Metersit srl) as metrology responsible. Since 2012 is researcher at the University of Padova, in the field of agricultural mechanics, and adjuncted professor with two courses on agricultural mechanics and applied statistics. Since 2004, is reviewer for important international journals (Nanotechnology, Measurement Science and Technology). The scientific background has grown up at a national and international level, with active involvement in projects, in collaboration with other university and industrial research centres. - implementation and testing of innovative materials allowing enhancement of agricultural tools performance. Research activities are carried out in collaboration with national as well as international companies operating in the field of agriculture, as for instance Forigo roteritalia, Topcon, Agrex, etc. Francesco Marinello is author and co-author of 4 patents and more than 100 papers published in journals or presented at national and international conferences (H-index 15). Research activity has been awarded with several prizes as the Alan Glanvill Award in 2013 and the Regional Prize for Innovation, in 2007. Marinello F., Bariani P., De Chiffre L., Savio E., Fast technique for AFM vertical drift compensation, Measurement Science and Technology, Vol. 18/3, pp. 689-696, 2007. Marinello F., Bariani P., De Chiffre L., Hansen H.N., Development and analysis of a software tool for stitching three-dimensional surface topography data sets, Measurement Science and Technology, Vol. 18/5, pp. 1404-1412, 2007. Savio E., Marinello F., Bariani P., Carmignato S., Feature-oriented Measurement Strategy in Atomic Force Microscopy, Annals of the CIRP - Manufacturing Technology Vol. 56/1, pp. 557-560, 2007. Marinello F., Savio E., Carmignato S., De Chiffre L., Calibration artefact for the microscale with high aspect ratio: The fiber Gauge, Annals of the CIRP - Manufacturing Technology Vol. 57/1, pp. 497-500, 2008. Marinello F., Bariani P., Savio E., Horsewell A., De Chiffre L., Critical factors in SEM 3D stereo microscopy, Measurement Science and Technology, Vol. 19/6, 065705, 2008. Marinello F., Carmignato S., Voltan A., Savio E., De Chiffre L., Error Sources in Atomic Force Microscopy for Dimensional Measurements: Taxonomy and Modeling, ASME - Journal of Manufacturing Science and Engineering, Vol.132/3, pp. 031003-1-8 2010. doi: 10.1115/1.4001242.